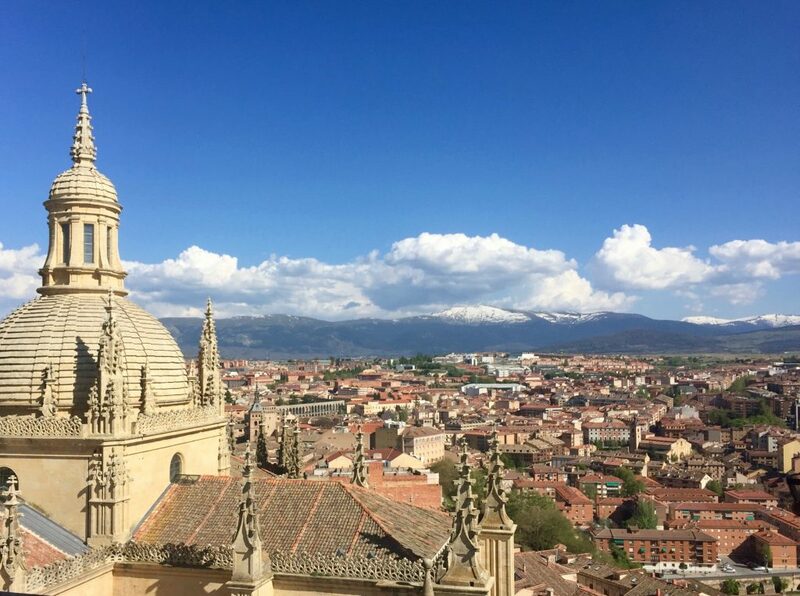 Segovia is one of the most popular spots for a day trip from Madrid. However, I think poor little Segovia doesn’t get the respect it deserves – this lovely city is worth more than just a few hours! 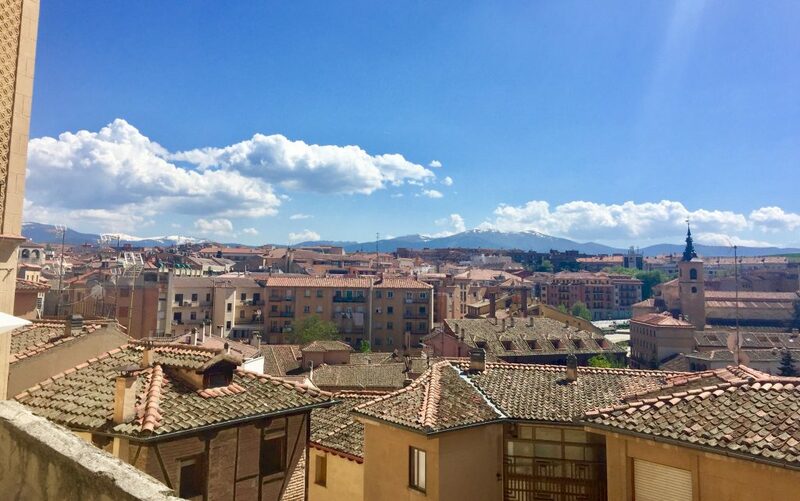 Of course, Segovia is doable as a day trip, especially if you’re tight on time, but you can easily spend a relaxing full-weekend trip there: it’s the perfect retreat if you live in Madrid and works great as a romantic getaway. 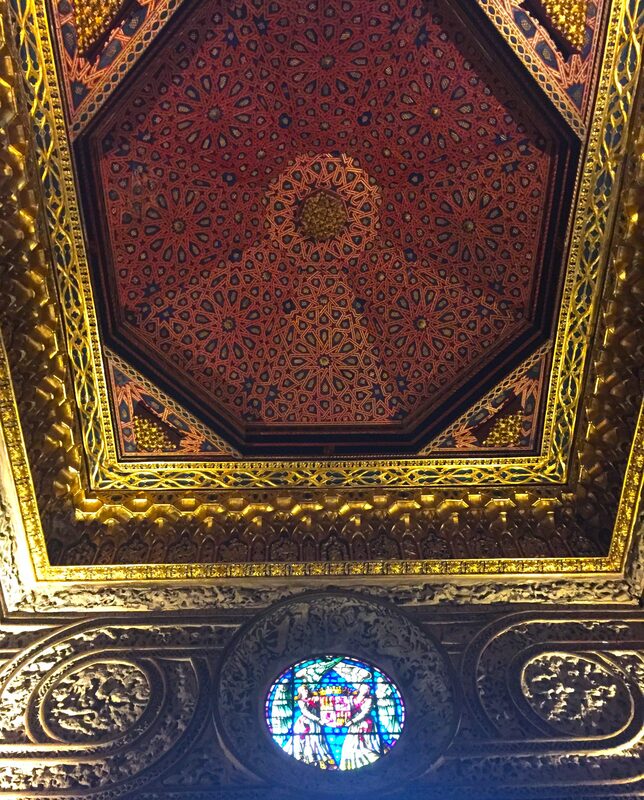 If you elect to stay a night – or two, like we did – you can enjoy a full day of the city’s sights at a more leisurely pace, with time to fit in a proper lunch of cochinillo along with the occasional tinto de verano pit stop. 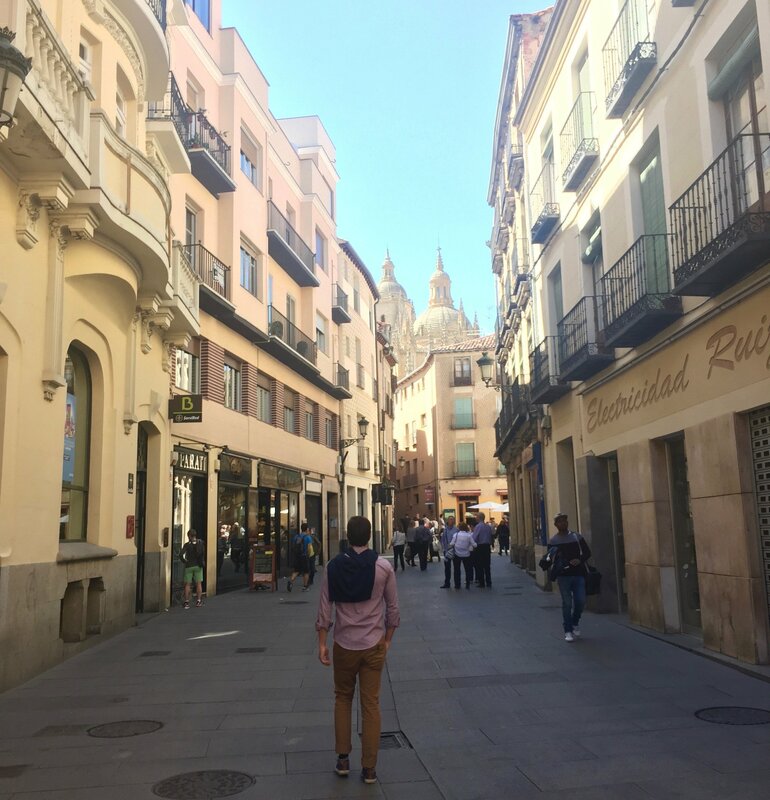 And, perhaps most important of all, spending a night means you’ll have time to eat tapas and drink Rioja at a cozy castizo tavern without worrying about making the last train out! 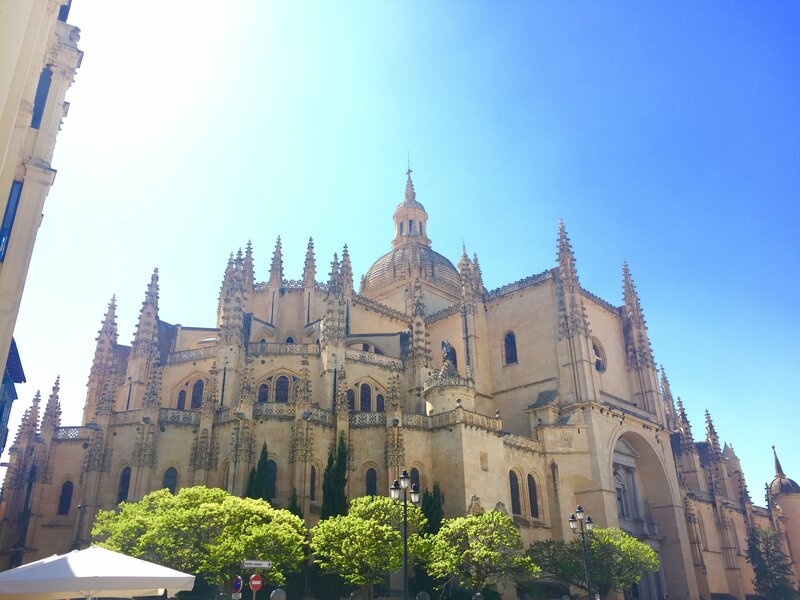 So #treatyoself and keep reading to see why Segovia is worth more than a day trip. 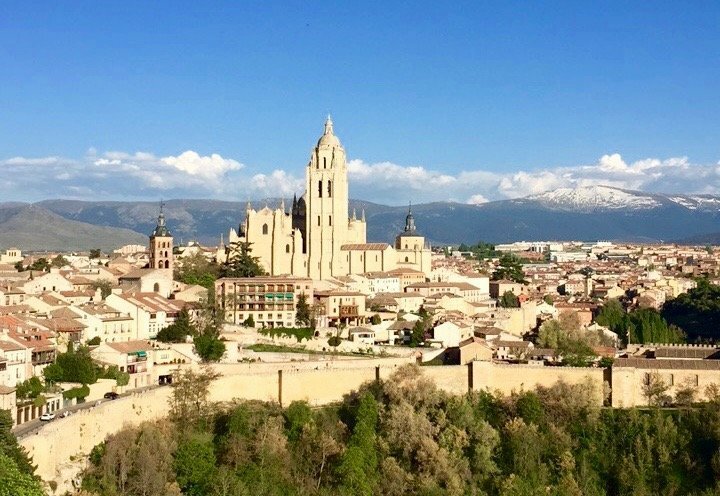 Segovia is only a 30-minute train from Madrid – buy your tix here. Trains to Segovia usually leave from the Chamartín station in the northern part of Madrid. Once you arrive at the Segovia train station, you’ll need to take a bus or cab into the old town. The bus pick-up area is right outside the train station and has a sign with a schedule of pick-up times. The Alcázar. 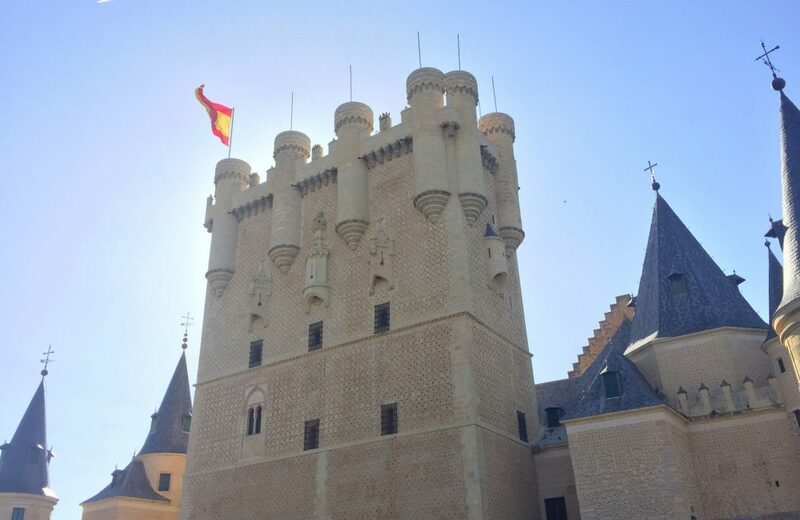 One key reason why Segovia is worth more than a day trip is that staying for longer will ensure that you have time to visit all of the city’s top attractions, like the majestic Alcázar. 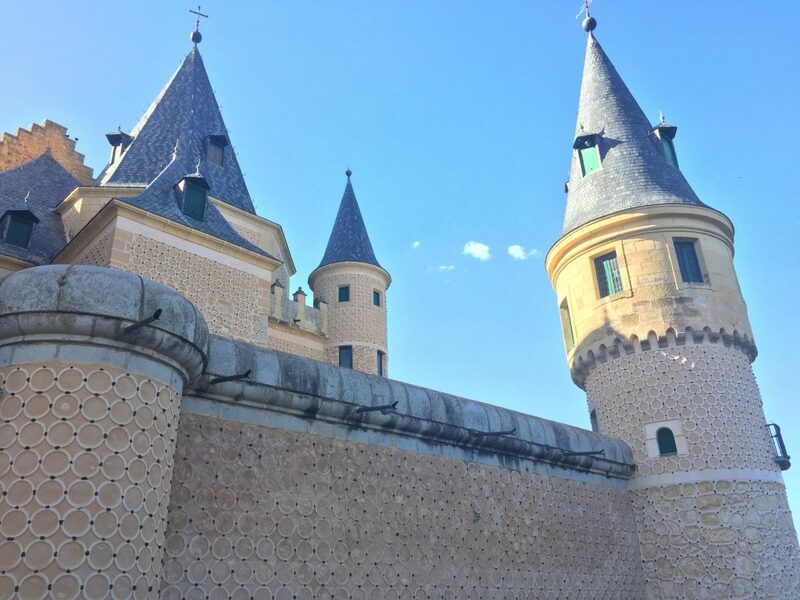 This castle, my favorite sight in Segovia, is located on a rocky precipice overlooking the surrounding countryside and seems straight out of a fairy tale. 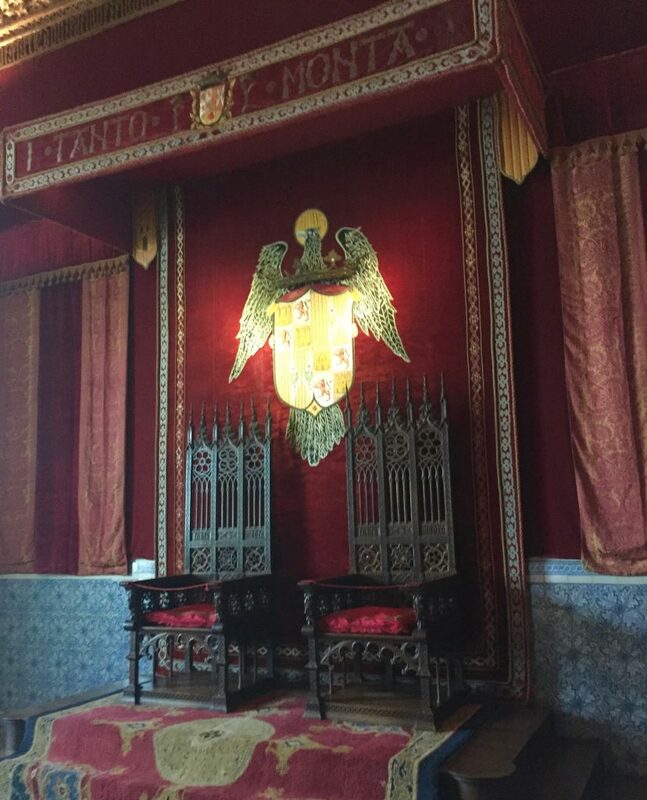 An alcázar is a common sight in Spanish cities: Sevilla has one of the most famous (#GOT). 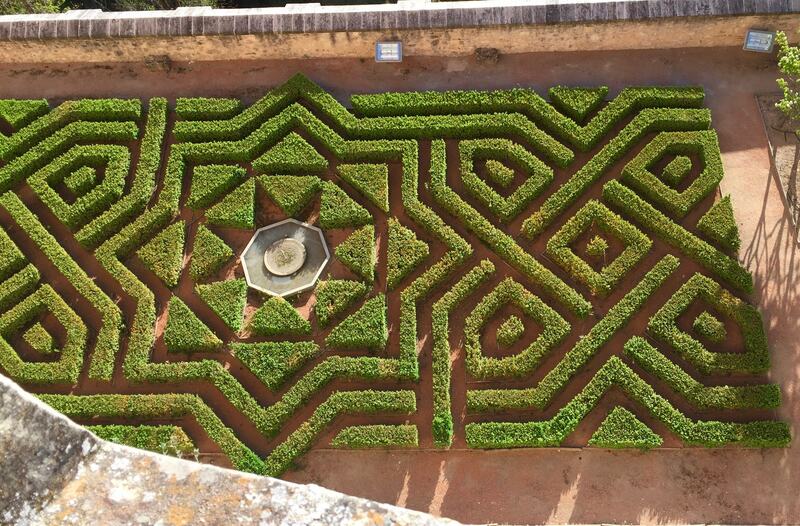 Segovia’s Alcázar has served various purposes over the centuries, from fortress to royal palace to state prison. For an extra euro, we toured the Alcázar with a guide, who explained the details of its rich history. These guided tours run every 30 minutes and are only in Spanish, but I recommend them if you can understand. 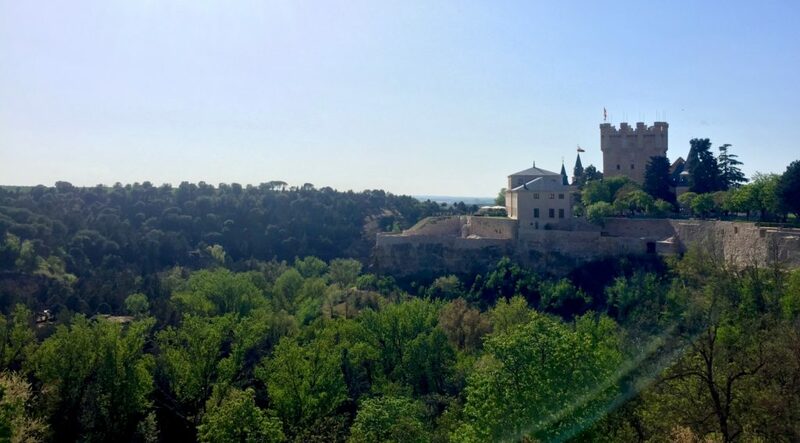 Make sure to go up the Torre de Juan II for some must-see views! 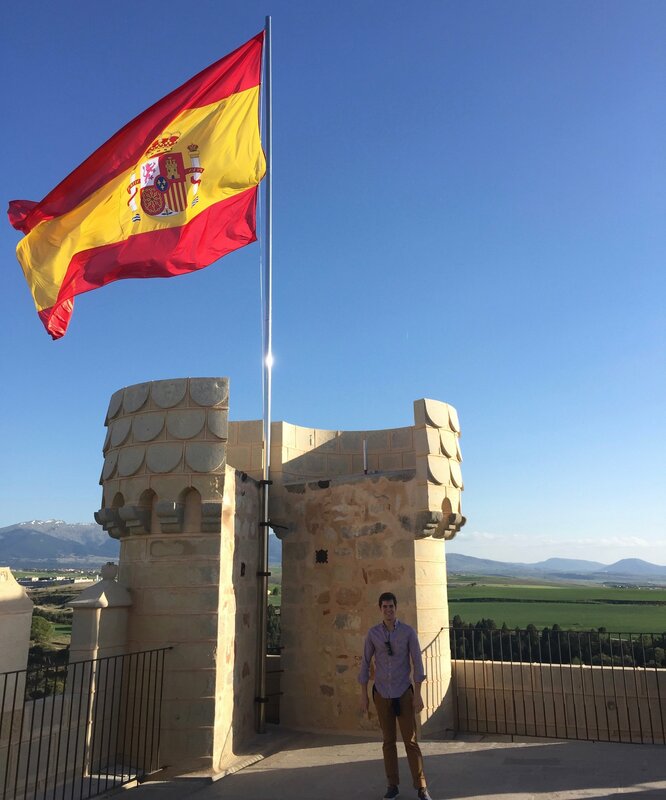 Made it to the top of the tower of the Alcazar! The Roman Aqueduct. 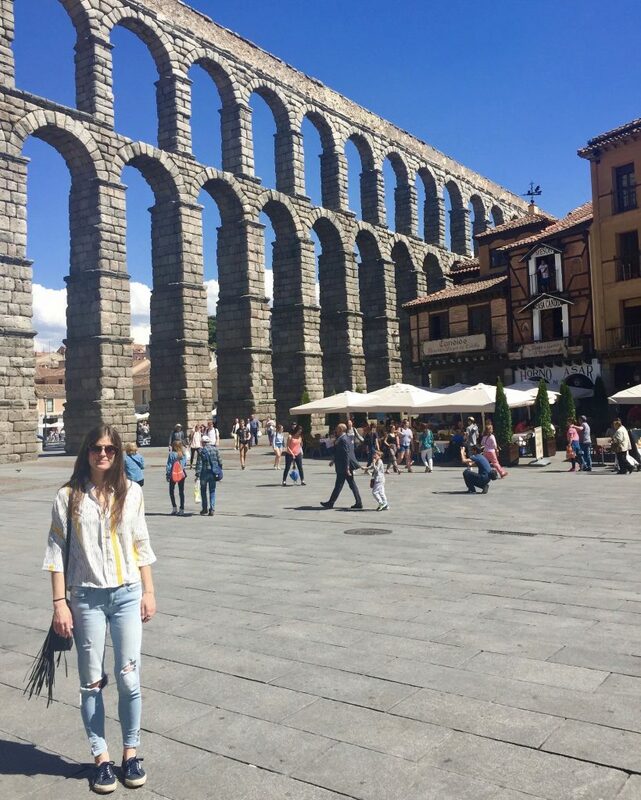 Were you really in Segovia if you didn’t snap a pic in front of the acueducto?! I don’t think so. 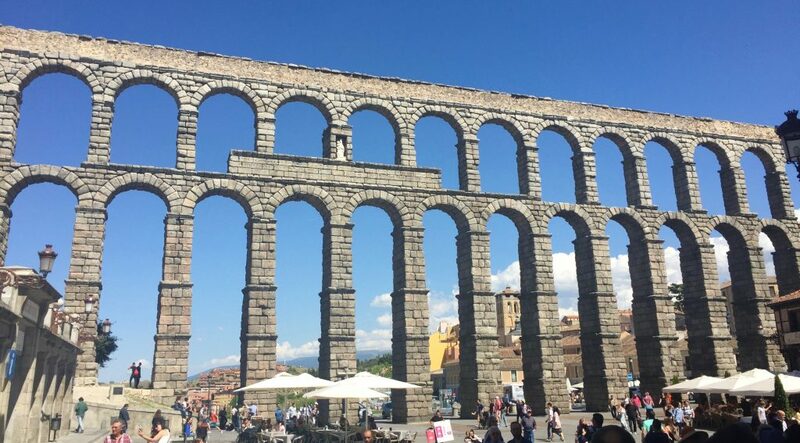 This is Segovia’s most iconic image and serves as a symbol of the city. Located right in the city center, this tall, imposing stone aqueduct dates back to Roman times and is notably well preserved. The Cathedral. Segovia’s cathedral, located right on the Plaza Mayor, is a beaut. The best part of a visit to the cathedral is the climb up the spiral staircase to the tower, which allows you to get a better look at the cathedral’s architecture from above and also has sweeping views of the city and surrounding landscape. Views of Segovia on the way up to the cathedral’s tower. Note the Alcazar in the distance to the left. Ronda de Don Juan II. A leisurely stroll on this walkway of old city ramparts is very pleasant. Peek over the stone walls of the Ronda for great vistas of the neighboring hills and trees as you approach the Alcázar. Cochinillo. 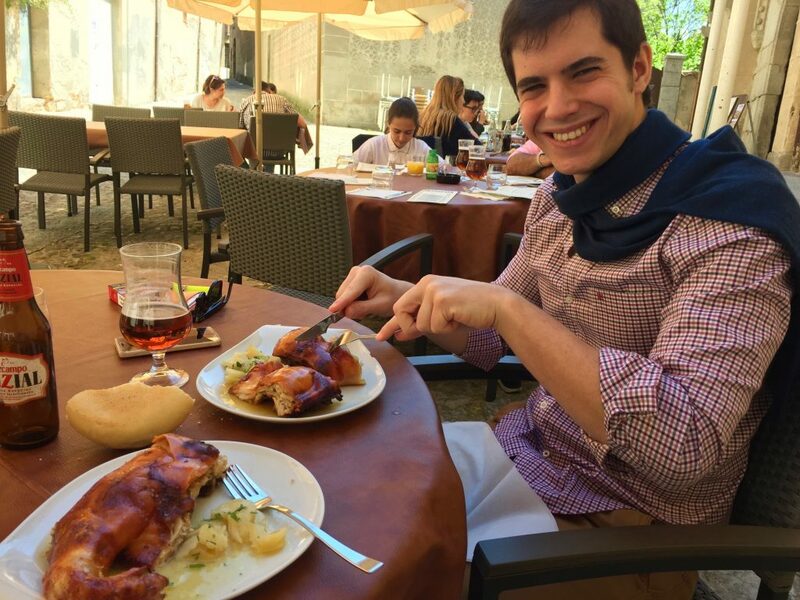 Having time to sit down and fill up on some cochinillo, or roast suckling pig, is a good reason why Segovia is worth more than a day trip. If you mention to a Spaniard that you’re planning a trip to Segovia, chances are the first thing he or she will say is that you need to try this traditional castellano dish. To all my Cubans out there – this is kind of like a Spanish lechón. Get ready to eat your heart out, because this dish is delicious and filling. We got our fix of cochinillo for lunch at El Redebal, a traditional restaurant hidden away in a little plaza right in the center of the old town. Eat at a table outside to enjoy the ambiente of Segovia. Pepe cheesin’ cuz he’s ready for some cochinillo! Traditional Tapas at Castizo Bars. Segovia is full of charming bars and taverns that serve up tapas and traditional dishes. Staying the night in Segovia will allow you to properly enjoy dinner by eating and drinking the night away! Munch on croquetas, chicharrones, and queso while sipping on some Rioja and call it a day well spent. Hotel Exe Casa de Los Linajes. This cozy hotel is yet another reason why Segovia is worth more than a day trip. Located in a restored 16th-century building, it is the ideal place to spend a night in Segovia’s old town. 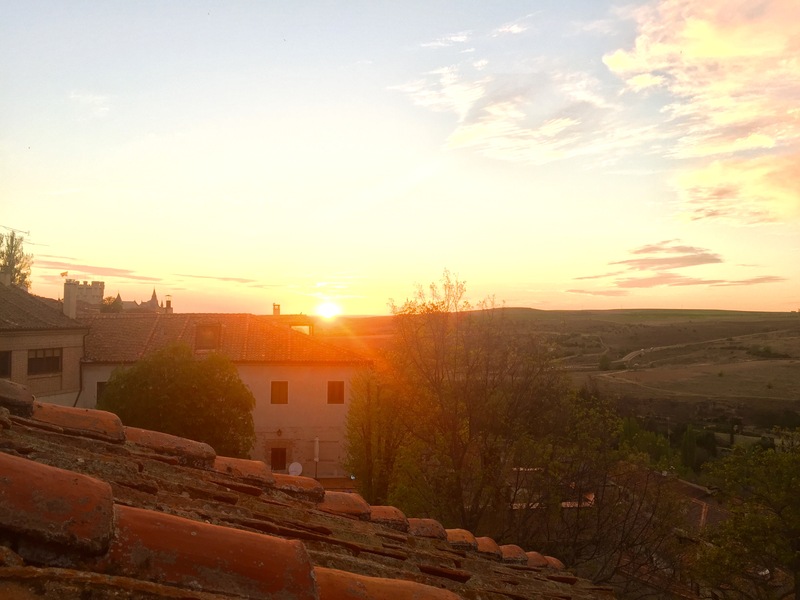 Our room had a small terrace with great views of the castellano countryside – this is the perfect spot to enjoy a romantic sunset with some wine and cheese before heading out for a late dinner in proper Spanish fashion. Hopefully I’ve convinced you why Segovia is worth more than a day trip! You won’t regret spending some extra time in this scenic town. 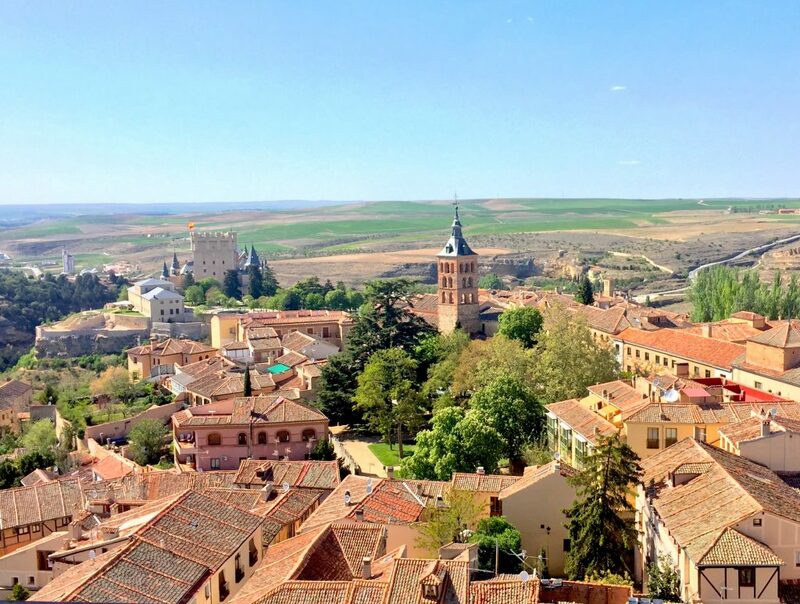 Have you ever been to Segovia?